The European Business & Innovation Centre Network was set up in 1984 as a joint initiative of the European Commission, European industry leaders and the first pioneering Business and Innovation Centres. EBN has implemented a rigorous EC approved certification and quality system enabling the development of a network of excellence. CorkBIC was named ‘Best in Class BIC’ for 2011/2012. This award recognises the best and most successful innovation-based incubation practices in the European BIC Network. 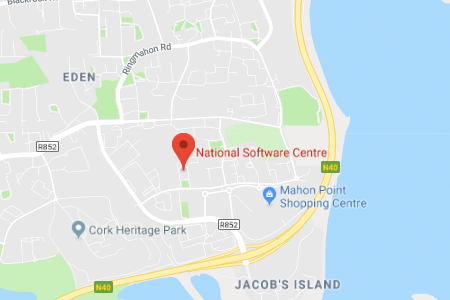 It also aims to showcase at European level the results tools and processes put in place by CorkBIC with the view to inspiring other network members. Globally connected but regionally focussed, with over 200 full Members active and strategically integrated in over 200 Regions, EBN is, by far, the largest and most professional business support network servicing the innovative SME market across the EU. This infrastructure is built from the ground up over twenty five years in close collaboration with relevant National and EC institutions who also oversee the Quality Assurance of the Members as service providers. Standards are high and being pushed upwards all the time through continuous benchmarking and cross-fertilisation of ideas and methods to ensure continuous improvement. At a BIC-to-BIC level, the real benefits accrue through innovation transfer that is directly relevant to the innovative client start-up or early-stage company. On a no-to-low cost basis, BIC clients are accessing materials, technology and markets overseas and most importantly are participating in international collaborative networks of other SMEs and globally connected R and TD communities from early stages. This process is ensuring that Irish SMEs are benchmarked for global competitiveness pre business plan or final market offering and that the commercialisation networks are already in place in several countries, tilting the balance further in favour of the SME when looking for start-up or growth capital. Traditional barriers of language, localisation issues and market entry are by-passed at no cost. Soft landing facilities and support is mutually offered to companies and the targeting of whatever needs to be sourced is accurate, immediate and direct. The concept is well proven, the network is active and open and Irish SMEs are increasingly making use of this easy, low-cost route to greater competitiveness. The network, based in Brussels, is an umbrella organisation bringing together over 200 BICs from all around Europe and beyond. It provides help and support to these BICs by acting as an interface with other organisations including the European Commission (which officially recognises EBN), by providing expertise in numerous areas including funding and by stimulating the sharing of best practices. EBN follows closely the European Union Enlargement and Neighbourhood Policies and has developed ‘hub and spoke’ networking connections with the rest of the world.